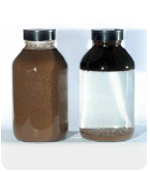 ORB156SC is a fresh-water dilution microemulsion chemistry designed specifically for the treatment of hydrocarbon sludge’s. ORB156SC SludgeTreat is for use in onshore waste management operations for the fast and safe treatment of crude oil sludge, refinery waste and heavy viscous tank bottom. ORB156SC when applied properly to hydrocarbon sludge’s separates water from oil and oil from solids in a remarkable clean break. Thus allowing for a very clean oil/water/solids separation. This allows for the oil to be captured, the water phase to be used for further remediation and the solids disposed of as may be customary for local operations where hydrocarbons on solids of 3% or less exist. 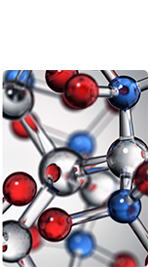 If a salt-water dilution product is desired see our ORB116SC chemistry. Processing equipment for the application of ORB156SC is available from our sister company Tank Cleaning Technologies, Inc. Description ORBIJET SludgeTreat is for use in onshore waste management operations for the fast and safe treatment of crude oil sludge, refinery waste and heavy viscous tank bottoms commonly referred to as BS&W (bottom sediment and water).